struggles and will receive sound encouragement and advice". "Patrick has improved so much as a person. He is able to be the big brother and protect his sister using his words. According to Patrick’s dad, we cannot say enough about how Ms. Cochrane has helped him. He has made a complete turnaround. Before he was shy and over-sensitive, unable to communicate with his peers. Now I see leadership qualities shining through. He volunteers in class and other social events and is able to say his name. As a mom, this has brought tears to my eyes because I know he wasn’t able to do this before. Patrick is actually not just a smooth talker, but a child who likes to talk a lot. Thanks Susan Cochrane for helping Patrick and making him ready for a life. "Susan Cochrane is recognized as one of the leading clinicians in the United States focusing on the treatment of stuttering Children." Ph.D. Professor Emeritus Northwester University. "Having worked with several other speech therapists, we immediately notice that Susan's relationship with our boys and our family would be different; she demonstrating an immense caring for our children, not just for their speech. She embraced a total care approach, incorporating my wife and I, and our other children, into the therapy sessions, which took place -by and large-in our home. She made every effort to work with our schedule, as we did with hers, to find the time to squeeze as much as possible into each session. Using a variety of tools, from stories to toys to interactive games, accomplished what others could not; an almost immediate and maintained improvement in their speech. Having experienced stuttering myself as a child, I can empathize with what my children are working through. They both love to work with "Susie" and it was with much regret that we had to leave Rochester due to professional circumstances. My wife and I cannot levy any higher recommendation for Ms. Cochrane; she is an example to be followed in her field, and her methods have been proven again and again, child after child." "Dearest Miss Susie,We are so blessed to have you in our lives the past 2 years. You have made a huge difference in Sam's life and our whole family's. Thank-you for your guidance, expertise, and friendship. We pray God continues to use you to bless many children in the years to come. " "I have to share this with you. I thought it was a big breakthrough for him. He and I were walking through the school parking lot to go into the school. Another Dad, who Connor doesn’t really know, said hello to Connor and “how are you?”. Connor responded with his usual “good”. Ten seconds passed in silence. Then out of the blue, Connor says to the man “ how are you?” The man appeared pleasantly surprised. He stopped, waited for Connor to catch up to him and the two proceeded to have a five minute conversation about this past soccer season! This has never happened before!" "Yesterday marked a bitter sweet milestone for Holden. He participated in his last group therapy session with Miss Susie and several of his friends he has grown to love. We started this journey almost 2 years ago when Holden started stuttering severely, to the point that we could barely understand him. He started to shut down all verbal communications and react physically and emotionally. Fortunately we were introduced to Miss Susie (Susan Cochrane), a Board Certified Specialist in Fluency and Fluency Disorders. Today, Holden is stutter free! She has given Holden and our entire family the foundation we needed to speak smoothly, but most importantly she has given us the encouragement we needed to succeed and overcome this life changing obstacle. Every time Holden speaks, we will forever be reminded of this amazing lady who touched our lives forever, Miss Susie!!!!" In all honesty, the relationship you have built with Braden is irreplaceable, and the amount of respect he has for what you have to say, and not just him but us as well, which I was realizing as I am thinking that we all just trust what you say and follow along (even when I roll my eyes thinking there’s no way he will journal that stuff each day). I cannot put into words, the feeling of knowing your child has a safe place to share his feelings and struggles and will receive sound encouragement and advice. I know this is not a cure or a fix, but as you know, he gets so frustrated sometimes and gets into a rut and needs to be brought out of it, and reminded of truth, as we all do. Thank you for being such a crucial part of our support system. but as time of talking." "It's hard to tell you face to face how grateful we are for your help (I know I would get teary eyed). You have made such a big difference to our family. Thank you Susan." "It's been quite some time since I saw you last. I am now an attorney for a Congressman, working on Capitol Hill in Washington, D.C. I read the article that I've pasted below, and hope to see the King's Speech very soon, and I thought of you and wanted to reach out and thank you again for your help! I was able to identify with so much of what this author wrote." "Thank you for sharing your gifts with us and for helping Matthew so much! We are so appreciative and grateful for all you have done. You are a special part of our family." "Dear Susan, It is so good to hear from you. Olivia is doing so wonderfully. She has continued with the same amazing improvement we saw upon exiting the program. Her stuttering is so improved from before the program I find it miraculous. She is so completely different; happy and very confident and taking on new things every day. You would be very proud of her. " Learn more about our founder, Susan Cochrane. Susan Cochrane is one of approximately 200 Board Certified Specialists treating people with disorders of fluency such as stuttering and cluttering in the United States. 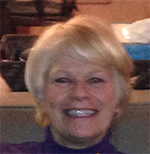 Susan has worked in the field of communication disorders for 36 years. In 2009 she began specializing specifically in treating those who struggle most with stuttering. Susan is highly knowledgeable in the field of stuttering (fluency disorders). She is warm, compassionate and motivational. Contact Susan to discuss how she may lead you to speak freely, with confidence and enjoyment. There's no better way to stay up on what's going on that to subscribe for updates from Freedom to Speak! Send us your info and you'll be notified when new material is available!